In a perfectly timed piece of choreography a Purple Heron turned up at Kenfig NNR on Friday, almost as if it knew that the local birding fraternity would need something to keep themselves occupied with over the long weekend. I would have been there in a flash if not for the fact that I was already down in Dorset pitching my tent. To have missed out on the excitement due to holiday plans is understandable, but then to narrowly miss a second Purple Heron a few miles from where we were camping could be considered fate. It was clearly not meant to be for me and that rather exquisite Heron species this Easter. In truth I wasn't too disappointed as the area around Lyme Regis delivered so many goodies that I soon forgot all about Herons of a non-grey nature. The town itself was absolutely packed with holiday makers (as expected), but the resident Herring Gulls and Feral Pigeons didn't seem to notice. 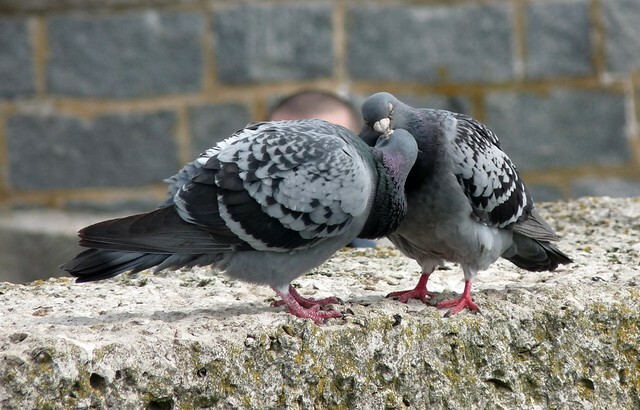 I must apologise for the bald head in the background of the pigeon shot but he would not move no matter how amorous they got. A walk out to Beer Head in the evening delivered a nice flock of Fulmars out on the sea as well as a passing Gannet. 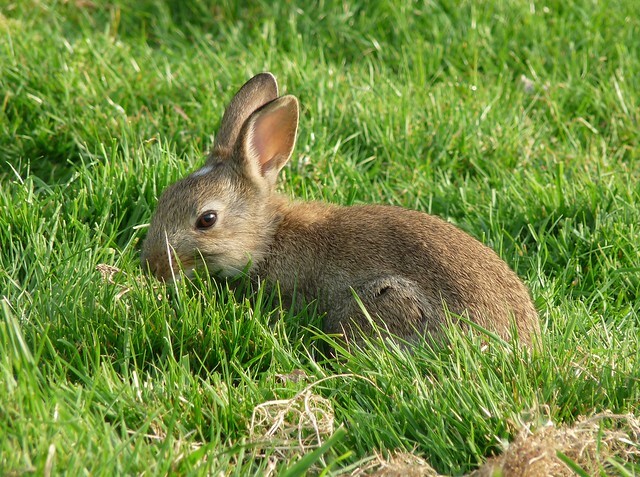 I must admit though that my attention was mostly taken by the Rabbits that seemed to be everywhere. They were just too cute for even me to resist! Our first full day (Saturday) was spent over at the two RSPB reserves based on the wetlands surrounding Weymouth. 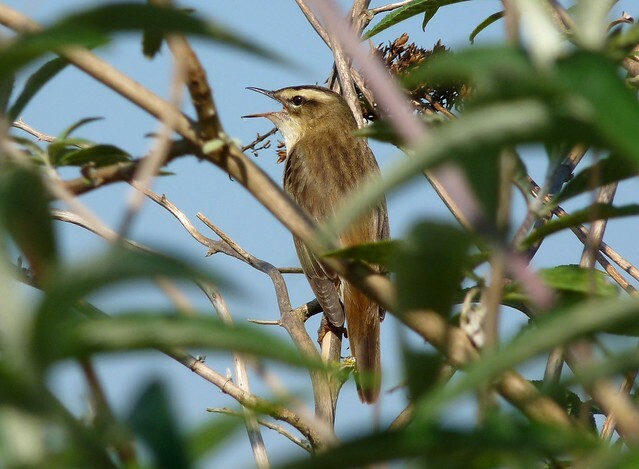 Once we had negotiated the 2012 Olympic roadworks it wasn't long before we were walking around Radipole Lake to the sound of Reed Warblers, Sedge Warblers, Cettis Warblers and Whitethroats. With the exception of the Reed Warblers I photographed them all including an absolutely stunning Sedge that sat at head hight in a bush bordering the path, belting its song out for all it was worth. It was one of those moments where you almost have to pinch yourself to make sure that you aren't dreaming as the bird was that close. It was a similar story with the Cettis which I got my best ever views of on several occasions, despite the fact that they stuck much more closely to the shadows. Elsewhere on the reserve things were relatively quiet with no sign of the resident Marsh Harriers (quickly becoming my biggest bogey bird) or the Kingfishers. 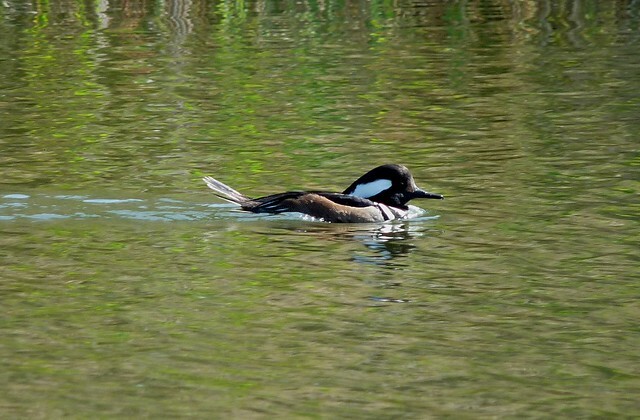 I did however get my first lifer of the holiday when we encountered a male Hooded Merganser, a local celebrity as it turns out. 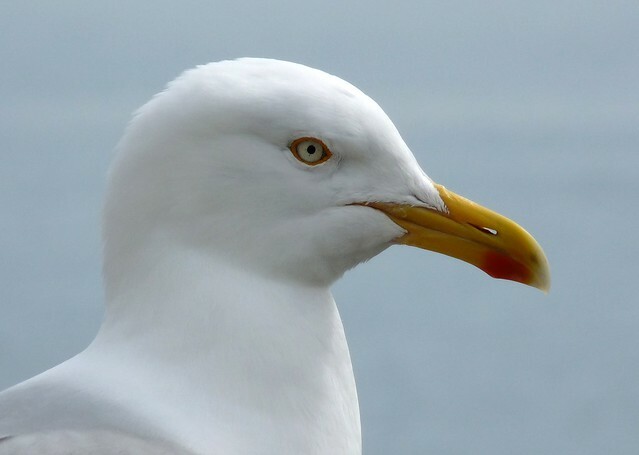 The story goes that the bird was found as a youngster trapped in a storm drain over on Portland, and was bought to Radipole to recuperate which it did magnificently. Since then it seems to have convinced itself that it is a Tufted Duck and has stuck around for well over a year. Despite this it is still a wild bird and free flying so counts as a tick in my book. For the afternoon we moved on to Lodmoor and my second lifer of the day, the long staying Long Billed Dowitcher. I have seen this bird blogged about ever since the very first day that it was found in late 2010, so it was very nice to finally get to see it in the flesh. It was feeding happily on one of the pools and I really can't see it leaving any time soon as it is very well settled, despite some photographers pushing their luck by jumping a fence and walking right up to the waters edge. I didn't which is why the record shot I took was so poor (80x digital zoom is never going to be up to much). Lodmoor also had lots more quality present including yet more Whitethroats, Reed Warblers and Sedge Warblers (I've yet to see any of these in Wales this year) as well as two very nice Common Terns. To finish the day off we spent a couple of hours at Portland Bill amongst the Chiffchaffs and Willow Warblers, and also saw a superb male Black Redstart. Sunday morning was spent walking along the River Coly. Not only was it a beautiful location but the wildlife was also fantastic. Particular highlights that come to mind include finding a Sand Martin colony with birds flying in and out of nest holes, as well as a Kingfisher that perched on a branch a few meters away from us complete with fish in mouth! Unfortunately it never sat there for more than a second so no photos. We also didn't want to stay any longer as I had a feeling there was a nest very close by and didn't want to cause any disturbance. 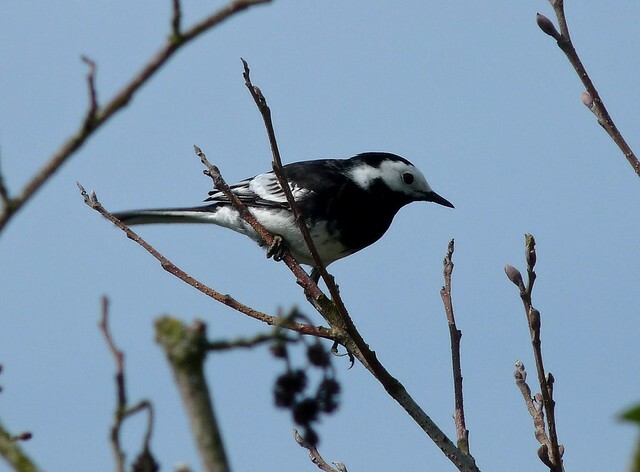 Other birds seen included my first House Martins of the year, Great Spotted and Green Woodpecker as well as a White Wagtail and a Pied Wagtail. I seem to get precious few opportunities to photograph Wagtails so this was an opportunity not to be missed. Later in the day we explored the fantastic reserves around Colyford and Seaton that have developed a tremendous amount since our last visit in October. The work is a credit to all those involved and the new hides are truly fantastic. With the exception of a female Wheatear things were relatively quiet though so we moved on to the Otter estuary in the hope of a third lifer for the weekend. A quick scan of the area and we were soon watching a Bonaparte's Gull feeding alongside a couple of Black Headed Gulls. It was far more distinctive than we had expected and we were able to see both the black beak, pink legs and head colouration to confirm the identification. We took a step back from the birding on Monday to search the beaches back at Lyme Regis for fossils. Pickings were relatively slim which was to be expected given how many people had been there over the last few days, but we still came back with a few nice finds. I'll share some photos of the more immovable and impressive offerings from the beach in a future post. 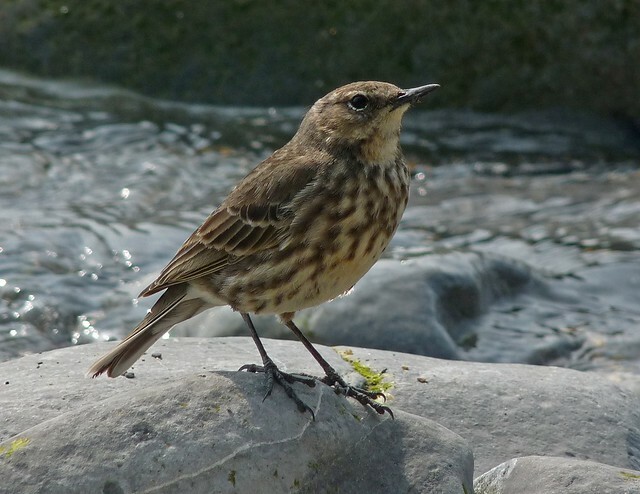 I was glad I had taken my camera when an incredibly tame Rock Pipit popped up onto the rocks next to us. This little encounter rounded the weekend off very nicely and despite being slightly exhausted we'd had a great time. For now its three days more work then off to mid Wales for another long weekend. If the weather holds we will be climbing Cadair Idris. I can't wait. A great series of photos, Adam!! Boom & Gary of the Vermilon River, Canada. Hi Adam,Reading through this post was such a treat! I absolutely love all the birds,and ,the rabbit! So beautyful! 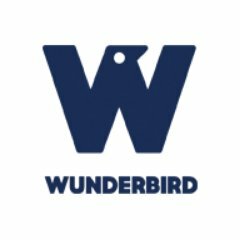 There is so many different and beautyful kinds of birds around the world! Well you certainly bagged a few Easter goodies Adam plus getting excellent pics. Funny, I was only singing the praises of Radipole yesterday as an excellent site to see Cetti's. they're all so beautiful. 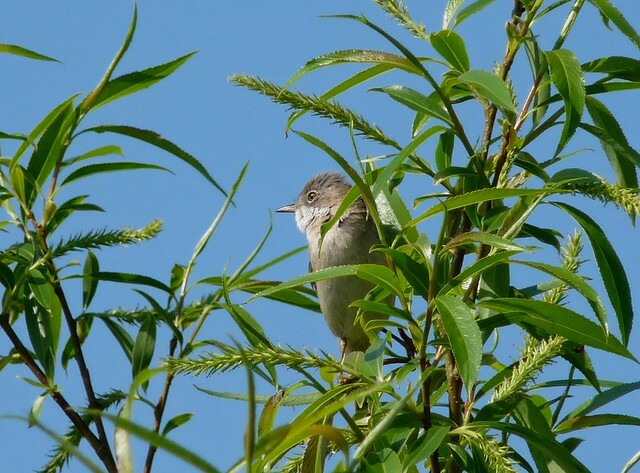 the reed warbler is lovely! and that pied wagtail is such a remarkable looking bird! Wow! A lot to see over the Easter and great photos too. I imagine there were people everywhere! A cracking post Adam, full of birds. 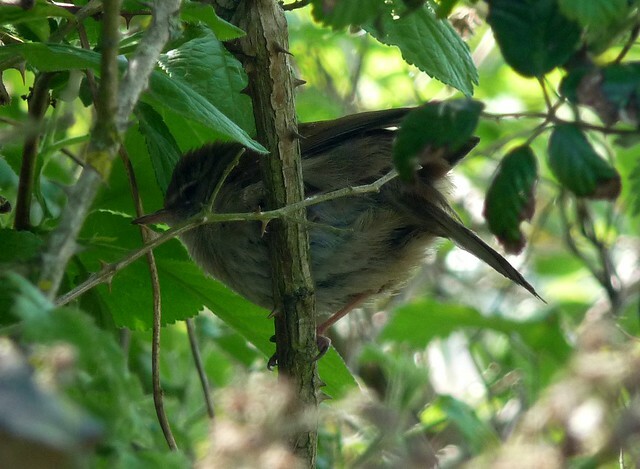 Especially like the warbler selection; and well done with the Cetti's. Great captures, Adam. Wonderful details. A great post and some very beautiful images. Well done! Love the Reed Warbler. Great captures! Just unbeliveible Adam! You must be one fit person to cover that much ground and then be ready to go again next weekend! Your pictures are insanely good, like you put seed on your lens. The shaved head gave me a great laugh too! Wow! What a great collection of photos! Wonderful WBW post! So many beautiful shots -- what a wonderful post! Wow thanks everyone for your comments. What a response and a great anecdote to being in work waiting for the next Bank Holiday. Gary - Thanks. Glad you liked them. Amila - Really glad that you enjoyed it. Fjällripan - There certainly are. One of the great things about blogging is the ability to see birds from other blogs around the world. Frank - Radipole is a fantastic place. I went there in October last year when it was relatively quiet but Spring has brought the place alive. texwisgirl - Pied Wagtails are a right pain to photograph though. They normally don't stop bobbing. Mick - There was a lot of wildlife but even more people. One of the problems of a heading to South England. Keith - Thanks. They are the best Warbler photos I have taken to date. Sally, Fotokarusellen, BirdingMaine - Thanks very much. Springman - Glad you enjoyed them. It certainly was a tiring weekend but it's all worth it. I can always have a rest when I get back to work. Sondra - Glad you liked them.